MULTAN: Senior police officers of the district, led by the district police chief, observed World Thalassaemia Day by donating blood for children suffering from the disease here on Monday. City Police Officer (CPO) Ahsan Younas along with superintendents of police, deputy superintendents of police and station house officers donated blood for children at Fatimid Foundation Centre at Shah Rukn-i-Alam. “Beside the CPO, all the officers accompanying him also donated blood,” said an official handout. The CPO said that visiting the centre and donating blood was a matter of pride for him and his department. 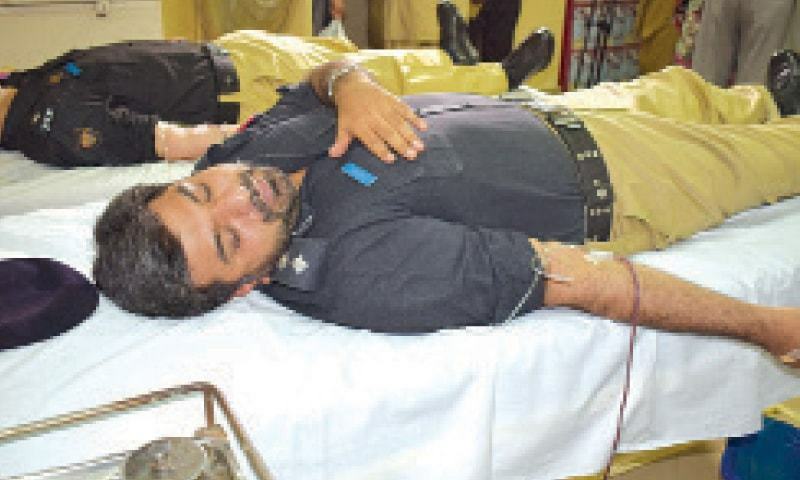 The officers will donate blood every month till he was the chief of district police. He said he was inspired by the noble work of the foundation and Multan police will extend its support for the cause. Fatimid Foundation Centre in-charge Col Abrar expressed his gratitude to the police chief.